Morrissey announced three new shows in California which take place this autumn prior to a pair of previously announced dates in Mexico. 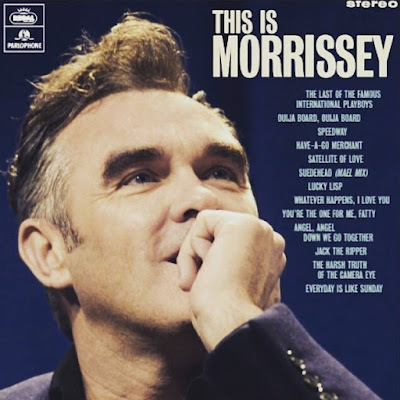 Moz is poised to announce even more dates soon - including his grand return to Canada. Moz has been boycotting Canada for years "in protest against the barbaric slaughter of over 350,000 baby seal" (aka the annual Seal Hunt). The legend issued a statement today regarding his boycott reversal, which paves the way for the likely imminent tour announcement. Stay tuned. Tickets for the new shows in California go on sale September 21st. UPDATE (9/21): Morrissey has also confirmed he'll play November 1st in Los Angeles.